One of the best parts of living in British Columbia is being close to both the mountains and the sea. BC has a lot of mountain-based national parks, but it also is blessed with a spectacular coastline – and none more spectacular than what you find in Pacific Rim National Park Reserve on Vancouver Island. Pacific Rim National Park Reserve is made up of three units spread along the west coast of Vancouver Island. Long Beach, the unit furthest north is the most accessible and arguably the best known. It is named after the 16-kilometre long stretch of sand lining Wickaninnish Bay and offers abundant opportunities for beach-combing, storm-watching, and surfing. Further south, the Broken Group Islands section is made up of over 100 small islands and is a dream destination for beginner and advanced kayakers alike. Further south still, the West Coast Trail is a challenging 75-kilometre backpacking route not to be taken lightly. Pacific Rim National Park Reserve is a popular summertime destination, but it should not be overlooked for an “off-season” getaway. In the winter, the Pacific Ocean is whipped in to a frenzy and the storm watching is second to none. No matter which season you plan your visit, you will find many things to see and do while you are there. Beachcombing: One of the best things to do in Pacific Rim National Park Reserve is beachcombing. Pack a picnic lunch and spend the day wandering the shores of Long Beach. Bring your dog, too. 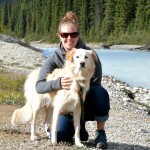 Long Beach is one of the only dog-friendly protected areas in Canada, however dogs must be on-leash at all times. Kayaking: With some advanced planning, kayaking the Broken Group is an adventure you will never forget. The Broken Group is rich in wildlife, including sea lions, whales, and bears. It is also home to unique coastal features including sea arches and sea caves. Kwisitis Visitor Centre: Pacific Rim National Park Reserve is on the traditional lands of the Nuu-chah-nulth people. At the Kwisitis Visitor Centre you can take in the spectacular views from the deck before heading inside to learn about the area through a variety of exhibits. After your time at the Visitor Centre, head out for a self-guided walk on the Nuu-chah-nulth Trail. Surfing: Numerous licensed operators work in Pacific Rim and without too much trouble you should be able to find someone who can hook you up with rentals and lessons. Don’t forget a wetsuit, the water is cold even on the warmest summer day. Storm Watching: Pacific Rim National Park Reserve is not only a summertime destination. In fact, from November to March the park comes into its own as a winter storm watching destination and is known worldwide for its huge waves. Tofino and Ucluelet have capitalized on their coastal location and proximity to Pacific Rim National Park and both offer a variety of activities and attractions. In Ucluelet, check out the Wild Pacific Trail for an easy coastal walk. My favourite section of the trail is the 2.5 kilometre Lighthouse Loop that takes you out to the 102-year old Amphitrite Lighthouse. In Tofino, consider joining a tour or hiring a charter and heading to Hot Springs Cove, a series of natural hot pools accessible only by boat or float plane. Camping in Pacific Rim National Park Reserve can be a bit tricky as there is only one campground within the Long Beach unit. The Green Point Campground offers 94 drive-in sites and an additional 20 walk-in sites. During the summer season, advanced reservations are a must if you want to stay in the park itself. A handful of private campgrounds are available in both Tofino and Ucluelet, but just like in the National Park, make a reservation ahead of time if you are travelling during the busy summer season. 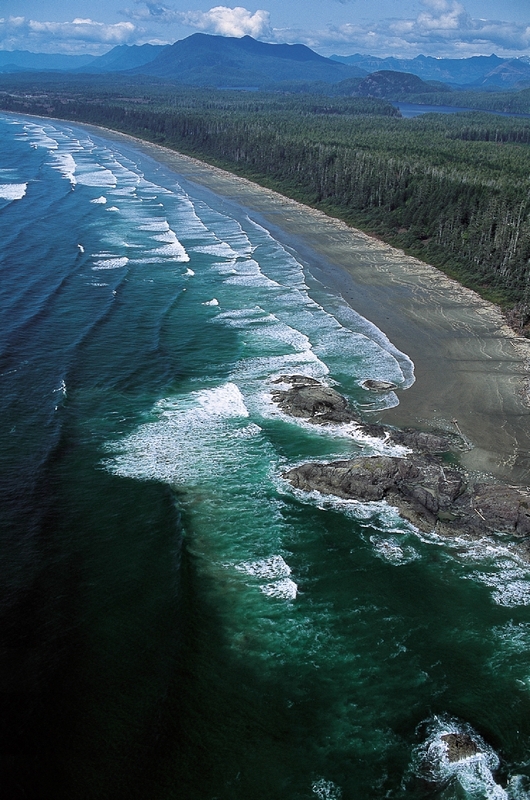 Pacific Rim National Park Reserve offers a huge range of opportunities for exploration. From highly accessible and popular options in the Long Beach Unit to the extreme backcountry of the West Coast Trail, you are guaranteed to find something to suit whatever your heart desires. Keep in mind this park’s popularity when planning your trip. It can sometimes be a challenge to find accommodation on busy summer weekends and you will be greatly rewarded if you book your trip in advance. Don’t worry, though, with 16 kilometres of sandy beaches in the Long Beach Unit, you are sure to find a place that feels as though it is meant just for you. 0 thoughts on "Visit Pacific Rim National Park Reserve, BC with your Canada 150 Free Pass"